SCVMM 2012: Clouds… if nothing else group your VMs. 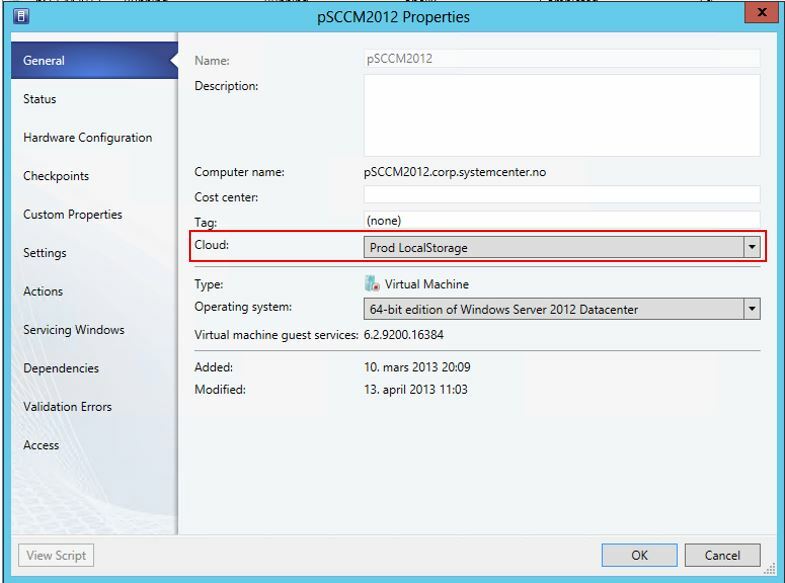 In System Center 2012 Virtual Machine Manager you can create clouds. The basic idea is to scope resources (storage, network, hosts) and security into groups, this is the first step in order to enable self-service and automation. But let’s say you have a small environment, typical storage not managed by SCVMM, 2 hosts in a single cluster, and no security delegation or self-service. I really recommend you to start looking at grouping your virtual machines into clouds. Even if you in the beginning only use it to organize and sort your virtual machines. In the VMs and Services view, right click clouds and Select create a cloud. Walk trough the wizard. For grouping purposes, Select Your hosts Group on the “Resources” page and your network on the “logical Networks page”. Then leave everything else default. 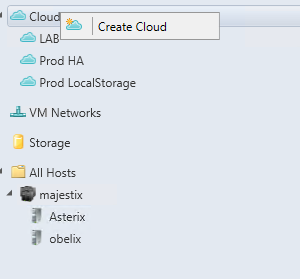 Assign your VM to your cloud under the general tab in the VMs Properties.